Join us for this four-part online series to learn the latest thinking and techniques for measurement and reporting from one of the profession’s leading authorities. Each session will focus on two or three key topics and build on the previous sessions. Choose individual sessions to suit your interest or join us for all four to provide a comprehensive overview of the topic. Each online session will be 60 minutes, including questions. The sessions will also be recorded so you can listen at your convenience. Each session will begin with a brief recap of the previous sessions and end with steps you can take to implement the key concepts. Every effort will be made to answer questions from the participants in real time. Dr. David Vance, Executive Director of the Center for Talent Reporting and former Chief Learning Officer for Caterpillar, will conduct the series. Dave and his team at Caterpillar won numerous awards for measurement, and Caterpillar University was ranked #1 in the 2005 ATD BEST Awards. Dave was selected as 2006 CLO of the Year by Chief Learning Officer magazine. He recently published the second edition of his textbook, The Business of Learning, and he teaches human capital management in two Ph.D. programs as well as the executive education program at George Mason University. Dave speaks at ATD ICE each year and is a frequent speaker at other events as well. The Center for Talent Reporting is a nonprofit organization dedicated to improving the measurement, reporting and management of human capital through publications, speaking, workshops and an annual conference. In the first session we will begin by addressing the four overarching reasons for measuring which will provide the foundation for all four sessions. These four reasons (inform, monitor, evaluate, and manage) will be captured in a measurement hierarchy. Next, we will share the Talent Development Reporting Principles (TDRp) framework for organizing the 170+ measures we have in learning. This framework provides a common language and classification scheme not only for the learning profession but for all HR processes. Last, we will explore the first category of measures (efficiency) in detail focusing on the most commonly used ones. In the second session we will explore the other two categories of measures in detail (effectiveness and outcome). In learning these measures are known as the four levels of Kirkpatrick and the five levels of Phillips. We will explore the difference between the two approaches for level 4 in detail, giving special attention to Phillips’ level 4 impact which will double as an outcome measure. Special attention will be paid to the issue of isolating the impact of learning from other factors, which continues to be one of the most contentious in the field. This session will begin by identifying the elements of a robust measurement strategy. Next, building on the first two sessions, we will identify measures appropriate for various learning programs and for various department initiatives. For example, what should you measure for a leadership development program, a compliance program, onboarding, etc.? We will conclude with recommendations on creating a measurement library. This webinar will include insights from JetBlue about its learning measurement process and emerging measurement practices. Lauren Kramer from JetBlue will review how the company utilizes quantitative and qualitative data to manage program quality while also telling its impact story. Examples of scorecards organized by efficiency, effectiveness and outcomes will also be shared. The New ISO Human Capital Reporting Standards Just Published—What Do You Need to Know? The International Standards Organization (ISO) published their first standards for human capital reporting in December covering 54 measures. The document provides guidance for internal and external reporting by both large and small organizations. While the recommendation is for voluntary disclosure, early adopters are expected to start disclosing in the next several years and some countries will mandate adoption of the standards, including public reporting. The standard is the culmination of a great deal of work by an ISO working group representing experts from numerous countries over the last three years led by Stefanie Becker from Germany. Join Jeff Higgins, CEO of the Human Capital Management Institute (HCMI), to get an insider’s view of the standards and the processes that led to their creation as well as the reasons why the standards are necessary. Jeff has been an active member of the ISO working group since its inception. Most L&D professionals struggle addressing the issues of impact, business outcomes, and ROI. This session will help you do all of those in a practical, scalable way. Join us to see what two well-known leaders in our industry are recommending. In this webinar you’ll learn the different ways to measure impact, how to link L&D to business outcomes and understand what to do with your learning measurement data. By the end of this session you’ll be better equipped to measure, communicate and improve impact and understand best practices in addressing the issue of ROI. This webinar is designed to follow the Introduction to TDRp webinar. It focuses on how to set the plan or target for outcome, effectiveness and efficiency measures. Special focus is placed on the discussion with the sponsor or goal owner for how to set the plan for outcome measures. Introduction to Talent Development Reporting principles (TDRp) provides a high-level introduction to TDRp covering the framework, measures, and reports. This webinar is an excellent introduction to TDRp for talent leaders, project managers, and analysts who are not familiar with the methodology. We recommend this webinar as a prerequisite to Setting Plans (Targets) for TDRp Measures webinar. The fifth webinar in the TDRp Series designed to follow Using TDRp Reports to Manage Programs and the Department. Focuses on the ten steps for implementation. 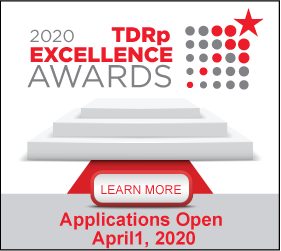 The first four webinars in the TDRp Series are recommended as prerequisites. 60 minutes. The sixth webinar in the TDRp Series designed to follow TDRp Implementation Guidance. Focuses on the change which will be required and the critical success factors. Addresses key areas of resistance and how to overcome them. The first five webinars in the TDRp Series are recommended as prerequisites. 75 minutes. Join Jeff Higgins, former CFO and SVPHR of several organizations, to learn the five steps to improve your financial acumen and become a more valued (and appreciated!) business partner. He will discuss how business leaders think, the type of information they expect in a business case or financial statement and what they generally think of HR (and why). Find out what it takes to make a business case that resonates with business partners. Jeff will share his own experiences dealing with HR and why many requests from HR are denied. 60 minutes. Offered every quarter with Parts 1 and 2 alternating. Accounting Basics is recommended as a prerequisite.